Well, you might not think about this much, but their feet play a significant role in both health and happiness! With that being the case, we want to give you the tools you need to keep your children's feet safe. Between the two—health and happiness—it’s more readily apparent to see how child foot care contributes to health. After all, taking the proper measures can reduce a child’s risk of developing problems like ingrown toenails, blisters, and plantar warts. So health is pretty easy to understand, but how does this relate to a child’s happiness? Take a moment to think about activities children enjoy – ones that don’t entail a screen! In all likelihood, you’ll be thinking about kids at play, running around either through organized sporting activities or in their own made-up games. Play is actually an incredibly important part of development during our young years. Of course, it’s hard to run around and be active when foot problems are in the picture and causing pain. You probably want your child to have as many options and opportunities as possible. As such, you will want to make sure you’re helping them learn smart foot care practices. This is especially important because establishing good habits at an early age can help your sons and daughters avoid serious problems later in life. This is all rather logical, so the question becomes – what do you need to do to protect your children’s feet? Keeping feet clean. In some ways, cleanliness can be the ultimate battle with children (well, until the teen years hit and the inevitable struggle for independence overshadows it). You need to win this one and make sure they wash their feet on a daily basis. Why? Fungal and bacterial problems aren’t usually a big problem in early years, but they need to carry this practice into adulthood to lower risk for athlete’s foot and fungal toenails. Start a regular stretching routine. Problems develop when the tissues in the lower limbs—and especially the calf muscles and Achilles tendons—are tight. Having your kids stretch their legs every day for even just five minutes can be especially helpful in preventing injuries. Getting them into this habit will pay dividends as they grow up! Give them nutritious food. 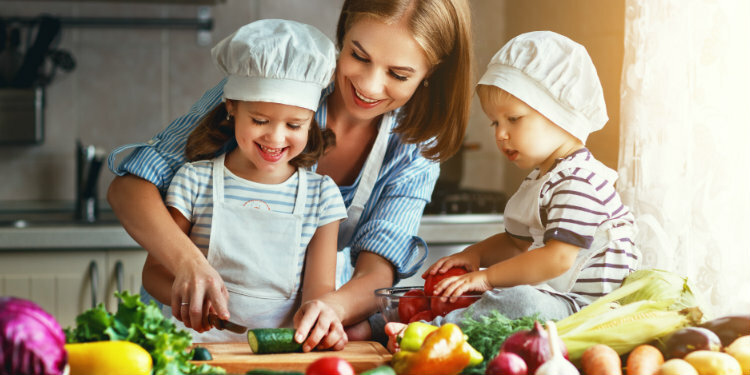 As a parent, one of the ways you try to help your children have optimal health is by providing them with nutritious snacks and meals. You can likely think of many reasons for doing this, but one you might not consider is the health of their feet. Even though it might not be a primary consideration for proper nutrition, feet benefit when muscles get the protein they need to be strong and bones receive plenty of calcium and vitamin D. Also, a well-balanced diet is important for weight management – and less weight placed on feet means less forces absorbed by bones and muscles. Keep toenails trimmed. Keeping nails trimmed to an appropriate length is a good starting point, but you also need to use an appropriate technique. Instead of rounding toenails—the way we do our fingernails—the best practice is to clip them straight across (to lower the risk for ingrown toenails). With regards to length, keep the edges roughly even with the edge of the respective toes. Intoeing/out-toeing. In these respective conditions, feet either point inward or outward. This may seem like a big problem, but the majority of cases resolve on their own – without causing any long-term issues. Flatfoot. In some cases, pediatric flatfoot is simply a matter of normal foot development. Foot arches are obscured by pads of fat and don’t really begin developing until around the age of 3. Even then, arches can continue to develop until the age of 8. From this point, and beyond, flat feet typically only need to be addressed if they are causing pain or potentially contributing to overpronation. Sever’s disease. This is the leading cause of heel pain for adolescents and teens. Yes, it should absolutely be treated, but treatment will center only on relieving symptoms (and not trying to cure it). The reason for this is because Sever’s isn’t a disease – rather, it’s a condition that can be thought of as a growing pain. Over time, the respective anatomical structures and tissues will reach physical maturity and the problem goes away. For these kinds of matters, the best practice is to monitor the situation. If there is severe pain and at-home care—OTC medications, ice, rest, etc.—isn’t getting the job done, contact our office. Fortunately, though, many parents are able to help their children find relief with at-home care. Sports injuries. Children are supposed to be active. There are many ways physical activity and sports can contribute to development, but there are also many ways they can potentially lead to injury. Feet and ankles are especially at risk – given how often they are used in athletic activities. Knowing basic first aid measures (especially RICE therapy) will help to treat a good number of common sports injuries. In the case of more severe ones—such as broken bones foot or ankle bones—professional care will be needed. Plantar warts. By nature, children tend to be curious. This is an essential trait for young, developing minds. When curiosity causes a child to touch a friend’s wart, it’s possible for the responsible virus—human papillomavirus (HPV)—to be transmitted. There are, naturally, other ways for warts to develop other than poking around at someone else’s wart, which contributes to the fact this is a problem for many children. A wart might seem like a big issue, but the truth of the matter is that most will go away on their own over time. You can usually help by covering a plantar wart with a non-medicated pad or bandage. Ingrown toenails. As is the case with the aforementioned lower limb problems, ingrown toenails are not necessarily specific to children. The truth of the matter is that virtually anyone—from two-month old infants to those who cross the century mark—can have a nail become ingrown. This condition can often be treated with conservative care for children – particularly by soaking the affected foot and gently raising the ingrown portion. 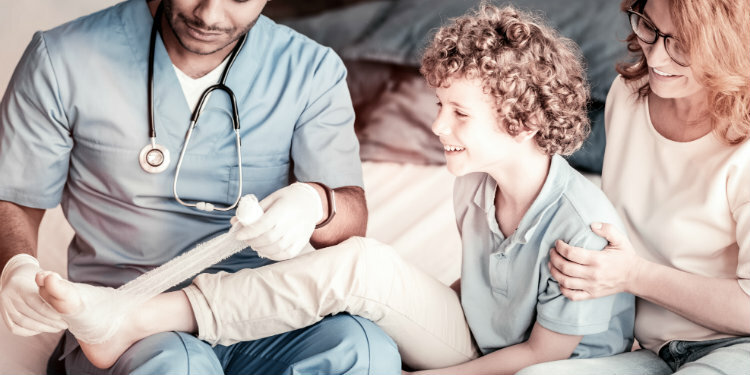 For more information on child foot care—or when there’s a problem requiring professional treatment and intervention—contact Foot Specialists of Long Island. Simply give us a call at (516) 804-9038.